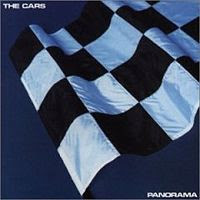 The Cars barreled into the 80's with an album that wonderfully veered off the path of their previous two. While I admittedly get off a little on enjoying albums that are critically panned, it's not the sole reason I think this an underrated gem. While the songs are certainly less immediately catchy than their predecessors, it's clear they're intentionally so. I'm not sure if it was his conscious intent, but Ocasek seems thrilled to challenge his fan base with this one. I can respect that. Plus, when you're dropping a full LP every year, who's going to complain if it's a bit of a curveball? The modified approach is evident from the beginning: the opening title track is almost six minutes long, the first Cars song to journey into the five minute realm. It does feel a bit long, but the song doesn't drag. A great opener. "Touch and Go" follows, the only song resembling a single on the whole record. It's a good one as well, a song that takes its sweet time getting to the chorus (it's almost five minutes long), but making it worth it when it does. The remainder of side one keeps with the semi-morose pop, working in some of the weirdest lyrics in the Cars catalog: "I want to float like Euripides/ All visions intact/ I'm alright with Fellini fiends/ Tripping over the track," Ocasek sings on "Gimme Some Slack." Simplicity's out the window, and it's pretty cool to witness. The first side ends with "Getting Through," a short, raucous number that finds Ocasek yelping out the closest thing to a scream that he can muster. It sounds really out of place on a Cars record, but it's jarring in a good way. The second side takes on a variety of moods. Ocasek takes the pop road on "Misfit Kid," the only song on this record that sounds like a typical Cars song. Wouldn't have been out of place on either of the previous two. Benjamin Orr takes over vocal duties for the next three tracks. "Down Boys" is a kiss-off riff-rocker that is saved by some bizarre synths that invade the background. In typical Cars fashion, the end of that song bleeds into "You Wear Those Eyes," a straight-up weird ballad in which Orr talk-sings and borders on creepy. Nice. "Running to You" rides a basic riff in the verse but comes through with a harmony-heavy chorus that works. Orr's unidentifiable fake accent is in full effect. The album closes with "Up and Down," a stomping number that hits the drums hard and gets fuzzy with the guitars. Ocasek sings lead on this one, taking advantage of the juxtaposition of the mellow chorus and making the song really work. In the end, this is one of those great records that you wouldn't recommend to someone who had never heard the band before, but I think anyone who got a real kick out of the odder stuff on Candy-O wouldn't have any trouble slipping right into this one.